Nanteos, a Georgian Mansion near Aberystwyth, West Wales located down a long winding road, surrounded by a dark inviting wood. The area where Nanteos stands has been occupied for centuries. The present Nanteos built in 1739 is not the first dwelling to be built on this site, there was a previous mansion. However, going back even further in time, a small dwelling was on this site, evidence can be found in the large dark cellar to this day. Two windows and a large solid front door and very thick walls are in evidence of a previous dwelling, no doubt these walls hold many dark secrets. In the dark 60ft long cellar it is believed that seven monks lay buried. It is said that that seven monks came to Nanteos with the dissolution of the monasteries in 1539, with the Cistercian Abbey Strata Florida in danger, the monks fled to Nanteos for safety bringing with them a sacred relic which is reputed to be the Holy Grail. First we will discuss the ghosts that haunt the grounds of Nanteos; we will begin in the woods. On a still peaceful night, Gruffydd Evans can be heard playing his beloved harp deep in the Nanteos wood. The highlight at Nanteos every Christmas was Gruffydd Evans playing his beautiful harp. Every year for 69 Christmases he played in the Music/Salon Room (he was known as the Official Harper to the Powell Family). He was a relative of the family and lived to a grand age of 92 and is buried at Llanbadarn Fawr Church, near Aberystwyth. If you look at the west side of the mansion, you will notice a blacked out window. Originally, there were two windows blacked out, one on the ground floor and the other immediately above on the first floor. It is said that a member of the Powell family was returning from war, his wife and daughter were waiting for his return in each of the windows waiting to see him approach the house on the driveway. As he made his way to the house, a fox ran across the path of the horse, the startled horse bolted and the man fell to the ground breaking his neck. The two windows were blocked up immediately and completely hidden from the inside (recently the ground floor window of the Morning Room was re-opened to lighten up the room for the hotel). It is uncertain which Powell this was, but ever since a sight of a sitting fox on the lawn facing the mansion is a sure sign of an impending death in the Powell family. Also, on the driveway near the lake a figure of a man has been seen a few times waving his arms about, looking as though he is herding animals. Some years ago he had been seen twice in a very short space of time. Perhaps it could be David Rowlands who sadly drowned in the lake in 1899, shaking off the cold dark waters off his body. Whoever it is, it is not what you want to meet while walking down the drive, on a cold dark night. The Stable yard at Nanteos has been a hive of activity for centuries. Unexplained horses and voices have been heard in the empty stable yard. In one instance, on two consecutive nights at about 4.00am, someone staying in the stables apartment heard raised voices and loud noises in the yard below, but as soon as the listener looked out through the window, the noise abruptly stopped. A baby has also been heard crying in the stables apartment on a number of occasions. Horses in the stable yard have reacted nervously to something that the horse handler couldn’t see. At a recent Summer Fete at Nanteos in 2014, a young man felt a presence of a young boy sobbing in the corner of the stable yard worried that he was going to get punished for something he had done. This spooked the young man as had never experience anything paranormal before. On another occasion a horse and carriage was heard in the courtyard at the back of the mansion. Then heavy footsteps were heard entering through the back door, and walking towards the kitchen, dragging what sounded like heavy chains. 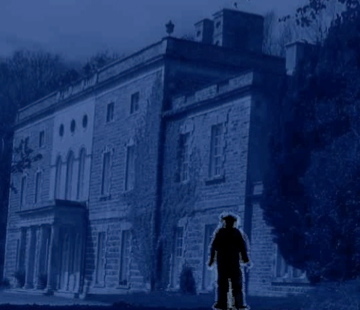 A ghostly figure that we can identify is that of William Griffiths the Groom, who was killed by the Head Gardener by a garden rake on 12 October 1782, occasionally he can be seen standing in the shrubbery, as if waiting for someone. We will now venture into the mansion where many apparitions have been witnessed over the years. Nanteos with its long dark corridors and large imposing room does attract the mind to think of ghostly thoughts, and the mansion does not fail, in that respect. 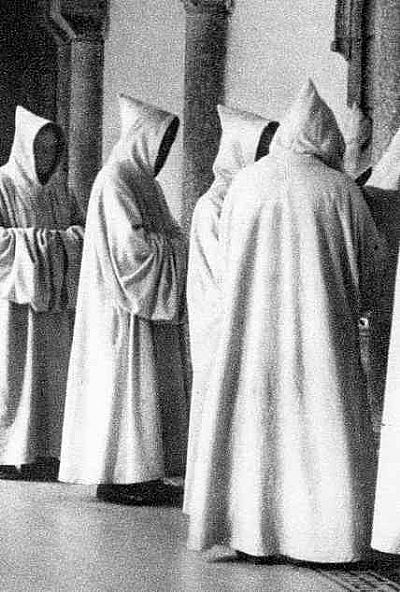 There are numerous ghost stories associated with Nanteos. 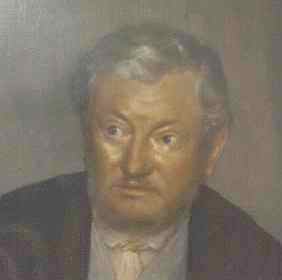 The most well-known haunting is Elizabeth Owen (The Grey Lady), Reverend William Powell and Elizabeth Owen of Rhiwsaeson married in 1744. 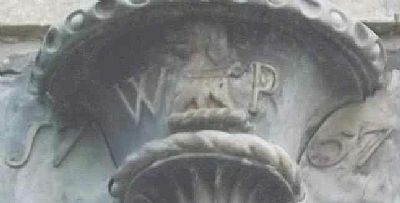 They bequeathed Nanteos at the death of William’s brother Thomas Powell, in 1752. Nanteos was under reconstruction at this time. Sadly with the completion of the build in 1757 Elizabeth died. Her husband dearly loved her and showered her with jewels. She could not bear to be parted from her treasured jewellery and dreaded to think what would happen to them after her death. Knowing that she was dying, she rose from her deathbed and hid her jewels. Later that night she died, and now it is said that her ghost haunts to corridors of Nanteos searching for them, her ghost, shrouded in a long flowing gown, still wanders like a lost soul searching for her hidden jewels. Be Warned - she will haunt anyone that dares to find her treasure. Parties were (and still are) held at Nanteos. One evening in 1930 the house was full of guests; an army officer present went to dress for dinner. Ascending the stairs to his room, he met a striking woman in evening dress, holding a strange looking candlestick. Thinking she was one of the guests, he bowed and bade her good evening. The lady did not answer but carried on down the stairs as if she had not seen him. He thought it strange but continued up to his room. On returning to the party, he gazed around looking for the lady. Eventually he asked if anyone has seen this woman. Immediately, he was taken to one side and told never to speak of the lady with the candlestick or there would be a death in the family. That night Edward Powell died. A couple of weeks later the very same strange candlestick was found in a dusty disused top shelf corner of the silver vault room, in the Butler’s Pantry. Could this have been the ghostly figure of Elizabeth Owen, concerned over her jewels, with some many guests at the house? A young girl read to Margaret Powell every evening at her bedside in the Macaw Room until very late into the night. Edward Powell warned the girl to leave at 11:30pm, never to stay until midnight. One night she did read over the specified time, realizing this she ran downstairs. 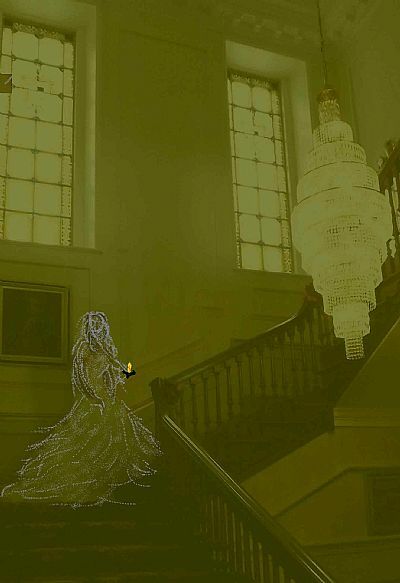 On the stairs to her disbelief she saw a ghostly figure, she screamed and fell in a faint down the stairs, hitting her head on the grandfather clock at the bottom. Edward Powell who was sleeping in Col. Powell’s bedroom heard a commotion and he rushed to her side. After checking see was all right, he told her never to speak of this ghost that she had seen. The young girl was confined to her bed for three weeks after her fall. And she never spoke of the ghostly incident until many years later. 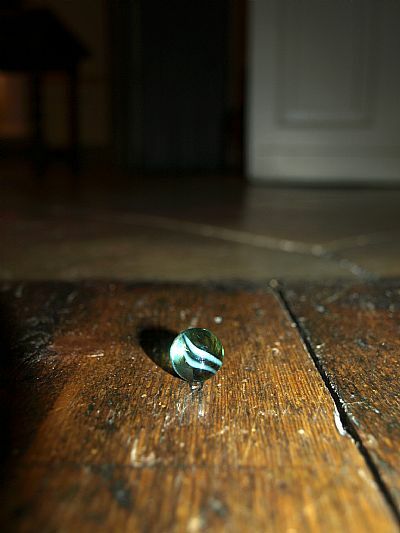 Sometime during the mid-1970s, a lighted candle had been left in the entrance hall window, next morning it was found in an upstairs bedroom with the flame blown out. How is got there no one knows. The most eerie sighting at Nanteos was a vision seen from the front door, and what was thought to be smoke in the inner hall. The witness stared in disbelief as the smoke transformed in a figure of a woman dressed in a long flowing dress. And she began coming towards the front door through the entrance hall, terrifying the onlooker so much that he ran to Aberystwyth, not daring to look back. Perhaps this is another sighting of Elizabeth Owen? 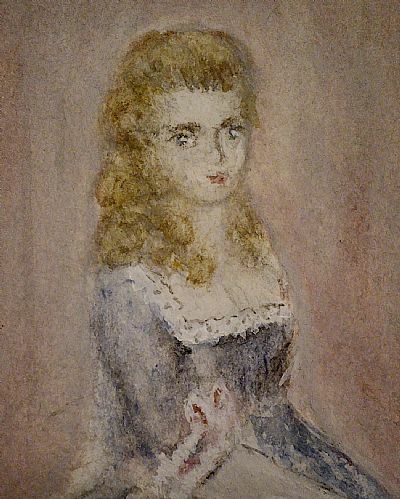 In the 1800s a young nursery maid, Mary, who was had been working at Nanteos for 6 months had to sleep in the Pink Dressing Room as the mistress of the house was sick in the Pink Room. One night Mary was suddenly awakened by a figure leaning over her bed. Startled by what she saw she screamed. The figure then stood upright and walked straight through the closed door. Mary never slept in that room again. This is very similar the story of two American ladies staying at Nanteos in the 1920s. One stayed in the Pink Room and the other stayed in the Damask Room. After going upstairs to dress for dinner there was a commotion. The lady in the Pink Room ran out and crossed the corridor carrying her belongings to her friend's room shouting "I'm not gonna stay in that room". But she never revealed why. There are noises in most old houses, whether it is just a door slamming or the wind howling. Now again furniture being moved and dragged across the floor in a room. One incident loud noises of moving furniture was heard from a room above, when investigate it was in fact to room above again on the second floor where all the noise was coming from, that room was completely empty of furniture. Noises are heard through the house on all floors and are still unexplained. A tilting chair has recently been seen by a couple of people in one of the bedrooms, when approached the chair will either fall back on its four legs or topple over. Sometimes a weight of someone sitting on the bed has been experienced in a few of the bedrooms, once someone’s leg felt as if it was being tugged by the foot, they jumped out of bed and checked underneath to see if it was a prank, and there was nobody there. In another unexplained instance is a disagreement with raised voices heard coming from the Old Laundry Room. In the morning the people that heard the disruption was told that there was no one in that room. On checking the room they found four towels piled up very neatly in the centre of the bathroom floor and a bar of soap had been carefully unwrapped from its wrapper and placed on the wrapper dead centre on the bottom of the bath. No member of staff claimed to have done this, yet another unsolved mystery. A crowd of people have been heard by numerous people at various times of day and night. Recently, a gathering of people had been heard, the sound of the voices had carried up to the first floor where a guest was staying. Thinking they were visitors in the entrance hall, the witness, half-asleep thought no more, until morning when someone else had heard the very same voices, and stated that the time was 3:45am and that no one was visiting the house at that time of morning? A young girl has been seen running through the kitchen, and “Hello Cook” was heard, chef gave chase and she disappeared, when he asked the whereabouts of the girl, to the kitchen staff no one else had seen her. Two other members of staff have seen a shadow of a small child in the kitchen area at different times. Who this ghostly child is remains a mystery. The only known recorded death of a child at Nanteos is that of Harriet Powell she died in 1857 aged 13, could this ghostly girl be Harriet running amok in the kitchen? One night the Night Porter was seated in the Entrance Hall and could hear marbles or pebbles being rolled in the Inner Hall on the stone slab floor and then continuing to roll onto the wooden floor going through into the Library, as this rolling continued, he check to CCTV cameras and could see nothing so he walked into the Inner Hall from the kitchen door, hoping he’d catch someone rolling them into the Inner hall but saw no one, he turned on the lights and there was no evidence of any marbles or pebbles on the floor. During the early 1990s, the mansion was empty but was managed by a caretaker. Permission was granted for the Fire Brigade and Police Force to train in the empty mansion at regular intervals. The Police would train their dogs to retrieve hidden substances throughout the house, include the cellar. Hardened police dogs trained to deal with all sorts of dilemmas, were nervously cowering and whimpering at the top of the cellar door and refusing to enter. A young girl, visiting the mansion in the 1970s was upset by seeing an angry man looking at her from the top of the stairs. Returning recently many years later she remembered the incident when she recognised the angry man in one of the portraits. 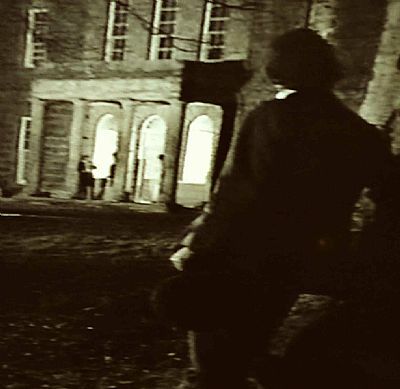 A Newspaper reporting of ghostly goings on at Nanteos is an incident in the early 1980s when a television company was making a production for a Welsh film company S4C. It was reported in the Western Mail that a two-day filming schedule was disrupted by ‘strange experiences’ doors opening and closing, on their own accord. A broken musical box suddenly started playing, movement of a heavy four poster bed and it is believed that a cloaked figure disrupted a video unit sent to shoot several TV scenes here to such an extent, the crew refused to work after dark. Sian Phillips one of the actresses involved said that she would not doubt the supernatural again. Today, Nanteos is a grand hotel, there has been a bit of ghostly activity since opening the hotel as you can see by the above. Many unexplained happens going on at the mansion, but none serious. They are only there to make sure that all is well at Nanteos. Hopefully they will not frighten too many guests away.